From Disney·Pixar's Cars 2, here we have yet another brand new, never before released Mattel 1:55 scale diecast...Jerome Ramped! This character has just just hit shelves and is part of the 2016 "Oil Rig Getaway" sub-series (#3/8). As shown in the screenshot above, Jerome is one of the "Lemons" (a Pacer to be exact) near the beginning of the film who pursues Finn Mcmissile on the top of the oil rig. FUN FACT: "Jerome Ramped" is undoubtedly a play on words. 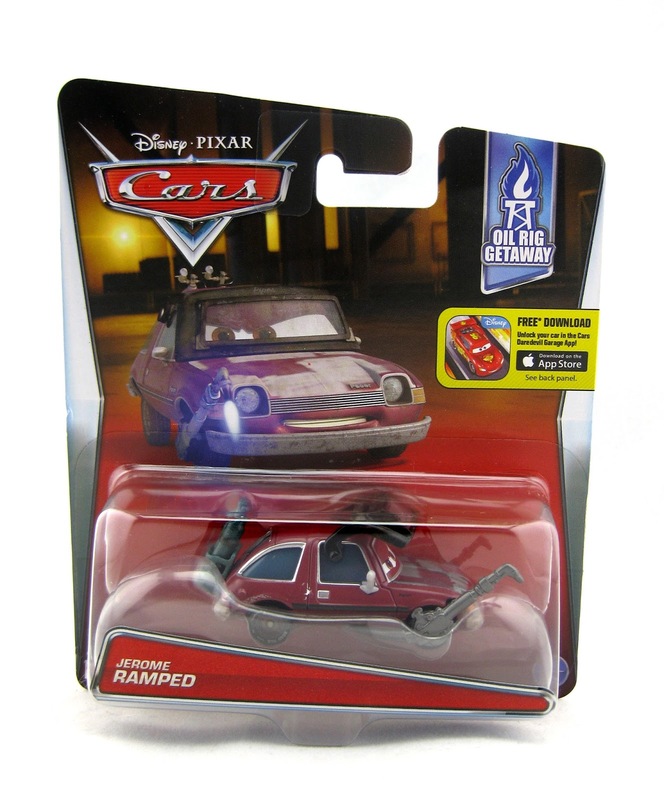 It would seem this name is based on Pixar character sculptor Jerome Ranft (brother of the late Joe Ranft) who worked on the original Cars. It's always fun to see Pixar employees get their names "car-rified." I always love getting new Lemon releases (for scene building) and I especially like this one. The welding torch/mask, maroon color scheme and overall details here are just super cool. I was able to find Jerome at Target just yesterday, so make sure you head to your local stores soon to check for availability. 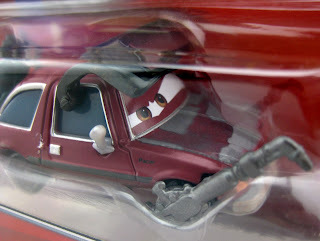 Best of luck on the hunt to all my fellow Disney·Pixar Cars collectors!